*Limited time offer, while supplies last. 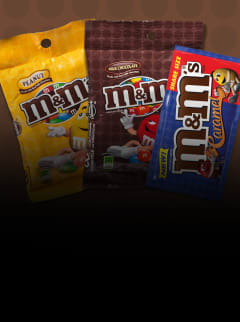 Limit 1 $3 M&Ms per combo purchase. Eligible combos are numbered 1-6 on the menu board. Excludes Cameo combo and Kids Pack. © 2017 AMC. © 2017 The Coca-Cola Company. © 2017 Mars, Incorporated and its Affiliates. All Rights Reserved.